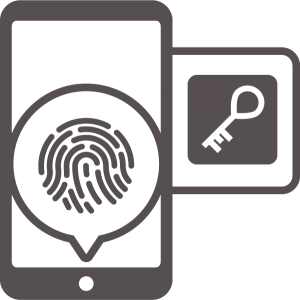 The fully hardware-backed authentication solution which grows with your organization and adapts to your risk profile. 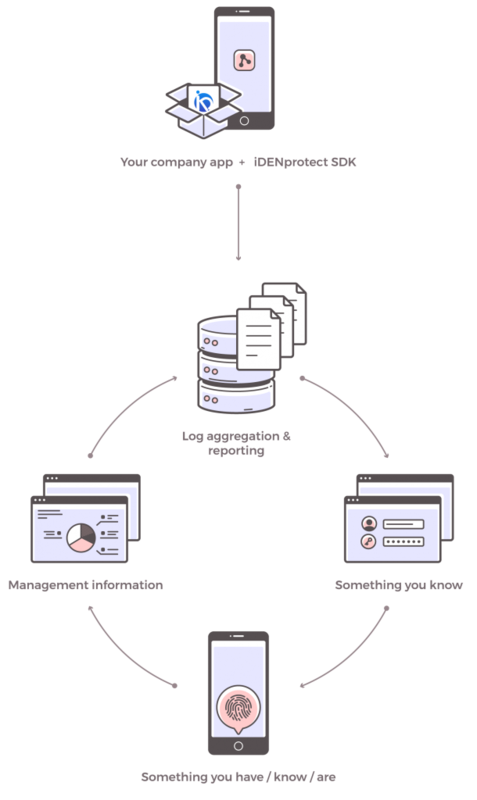 Our engine uses the secure hardware present on modern devices to provide PKI-based certificate authentication for the most secure authentication, integration and connectivity to existing enterprise systems such as databases and servers without any significant disruption. With iDENprotect you get all the tools you need to integrate multi-factor authentication into your own applications. Our unique approach to utilising a key managed in hardware is much more secure than a key stored in software. Unlike traditional software tokens, our innovative technology leverages the secure hardware built into modern mobile devices to simplify security, reduce costs and enhance productivity.With iDENprotect you can enable your business to increase the availability of information and ease of access without creating additional risk. Self-contained hardware-based security doesn’t require additional resources. Dedicated hardware cannot be affected by malicious code infection, OS vulnerabilities or unauthorised access. Hardware offers stronger resilience against common and brute-force attacks. Rules-based crypto modules can automatically shut down the system and securely purge data. Access controls are stronger and cannot be manipulated via software. 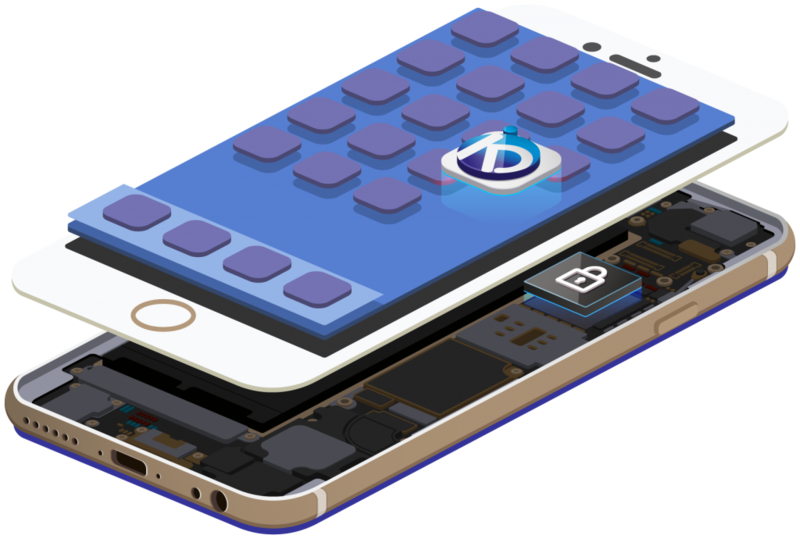 Our SDK can be used by developers both in bespoke applications and as an independent authenticator app servicing authentication requests from other applications and systems. It fully integrates with industry-leading standards such as SAML2, OATH and OpenID. The result? You get greater flexibility and easier integration as well as the ability to maintain your existing business processes and infrastructure investments. And, of course, outstanding security in an ever riskier world. Modern security for modern landscapes - the iDENprotect engine leverages the secure storage on the ARM chipset known as the secure enclave to protect against attack. Built upon trusted PKI standards our solution is secure by design and seeks to meet or exceed expectations such as the FIPS 140-2 standards. 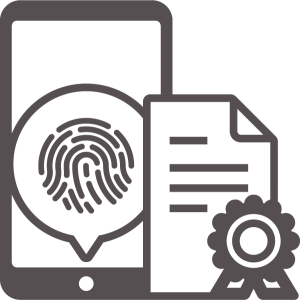 Unlike traditional multi-factor authentication, we seek to achieve the optimum balance of security and usability, without compromise. A simple fingerprint scan can be used to access your information, wherever and whenever. 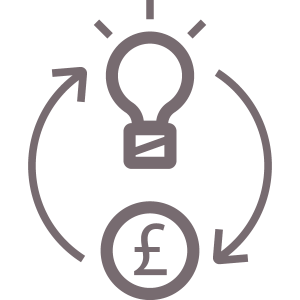 iDENprotect enables you to consolidate other access control hardware devices, including smartcards and tokens, providing economies of scale. As end users already have smartphones we also reduce the need to purchase costly additional devices such as smart card readers or number generators.